Bunnahabhain distillery is giving whisky enthusiasts the opportunity to attend the 2016 Islay Festival with a day trip to the island. 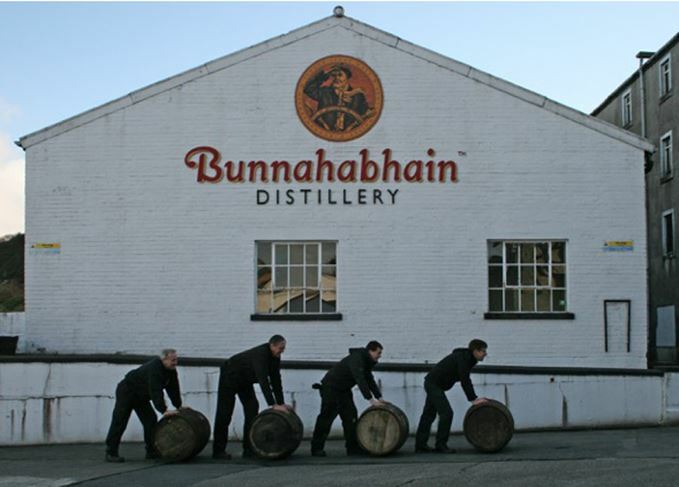 Bunnahabhain distillery is situated near Port Askaig, in the north east of the island. The Daytripper Experience will whisk visitors from Glasgow to the Bunnahabhain distillery on the north of the island and back again for a day filled with whisky, food and sightseeing on Friday 27 May. The day trip is thought to be the first of its kind to be run as part of the annual Islay Festival of Music and Malt – also known as Feis Ile – on 20-28 May. Once at the distillery, participants will be given a unique tasting of some of Bunnahabhain’s limited edition malts created for the festival – Moine Pedro Ximinez 12 Year Old (RRP £95), and Amontillado 16 Year Old (RRP £250). Visitors will have the opportunity to explore the rest of the island and its festival before returning to Glasgow for a farewell dram. Andrew Brown, Bunnahabhain distillery manager, said: ‘Islay Festival is world renowned as a haven for whisky lovers and tickets sell out almost immediately. Every year, each of the eight distilleries on Islay open their doors to visitors for a celebration of whisky and music. Each distillery creates its own special festival botting for the celebrations, and hosts a number of tastings and special events. Tickets for the Bunnahabhain Daytripper Experience cost £95 per person and are available from www.bunnahabhain.com/shop/tickets. The Islay distillery’s two festival bottlings are Sherry and Spanish oak-finished malts. This year’s Islay Festival has a packed menu of distillery open days and cultural events. Whisky is a key part of Fèis Ìle, an annual celebration of Gaelic history, poetry, song and dance. A relaxed pace didn’t prevent a suitable amount of whisky geekery from occurring at Caol Ila.